McDonald's Happy Meal: Mystery toy! 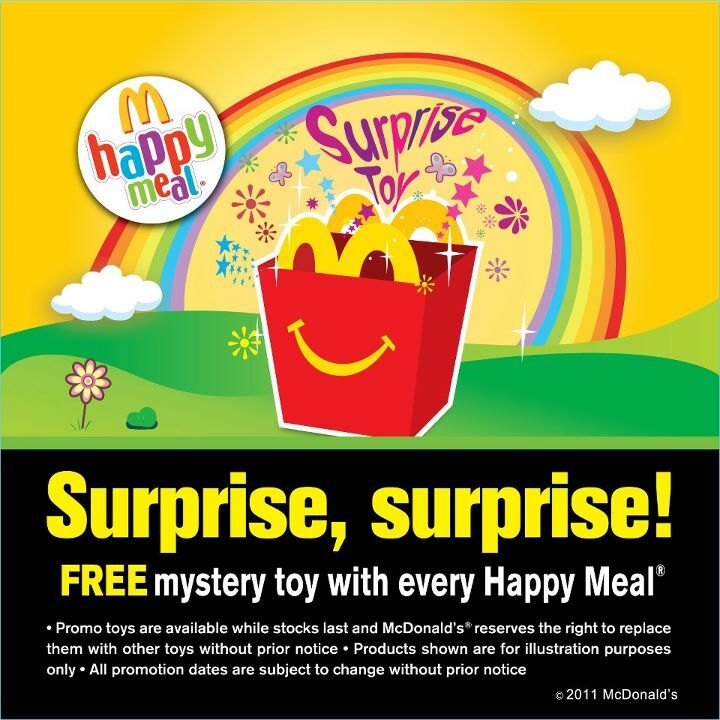 FREE mystery toy with every Happy Meal! From 13 – 26 October - Mums & Dads, surprise your kids because that's what they'll get when you purchase McDonald’s Happy Meal as each purchase comes with a FREE surprise toy! Every kid loves surprises! So come on, bring your kids to McDonald’s today and give them a surprise! Promo toys are available while stocks last and McDonald’s reserves the right to replace them with other toys without prior notice.